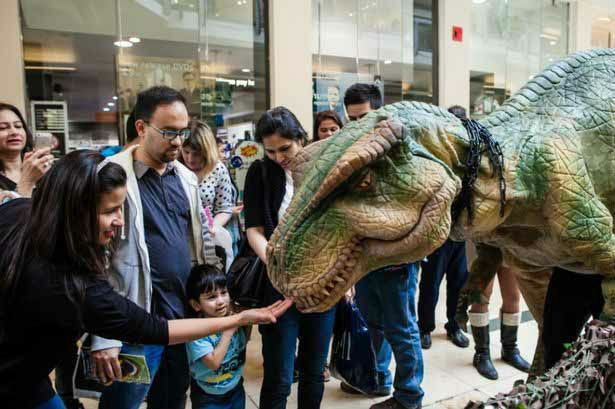 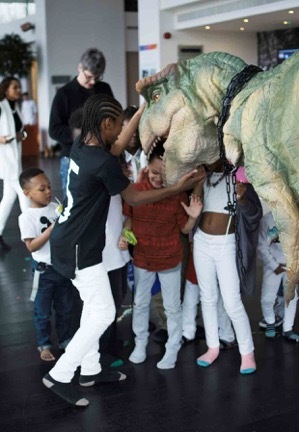 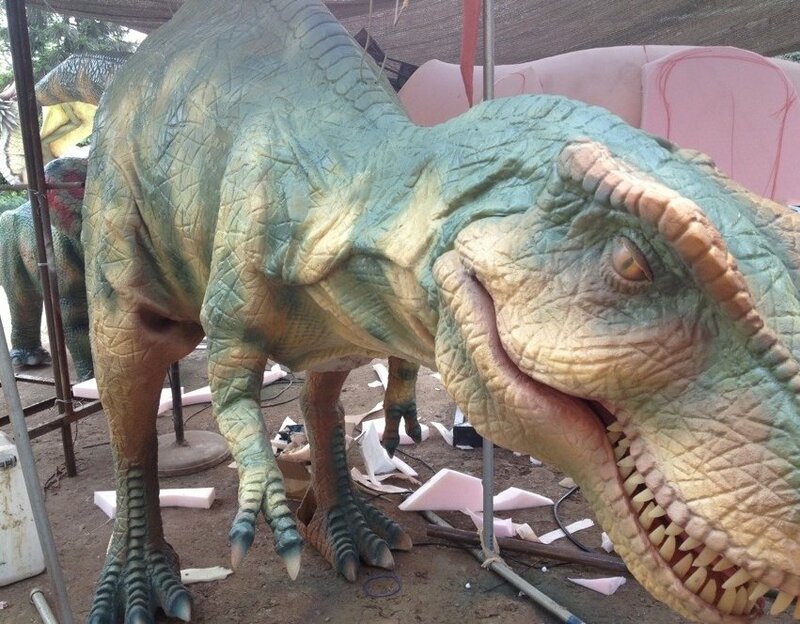 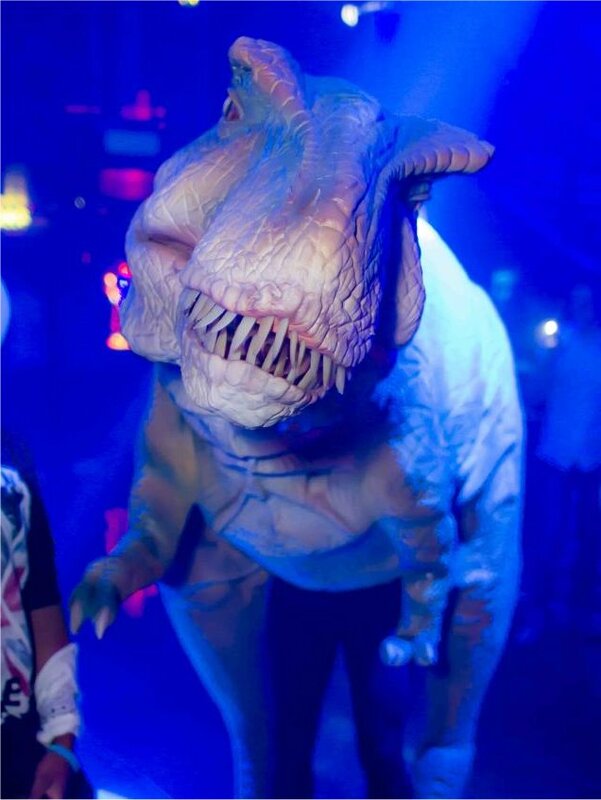 Standing over 9 feet tall and over 4 metres in length, this Tyrannosaurus Rex walkabout character is perfect for children’s parties and family fun days. 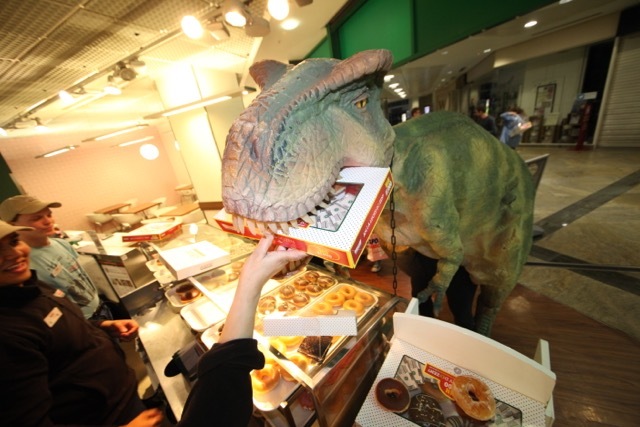 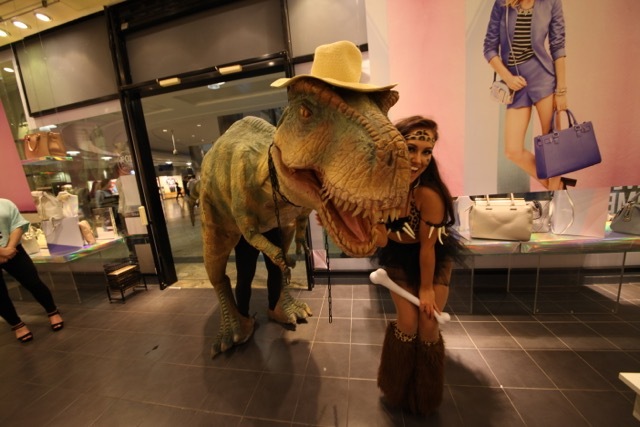 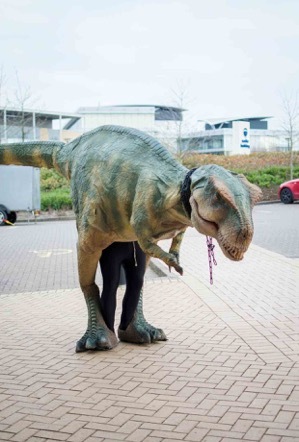 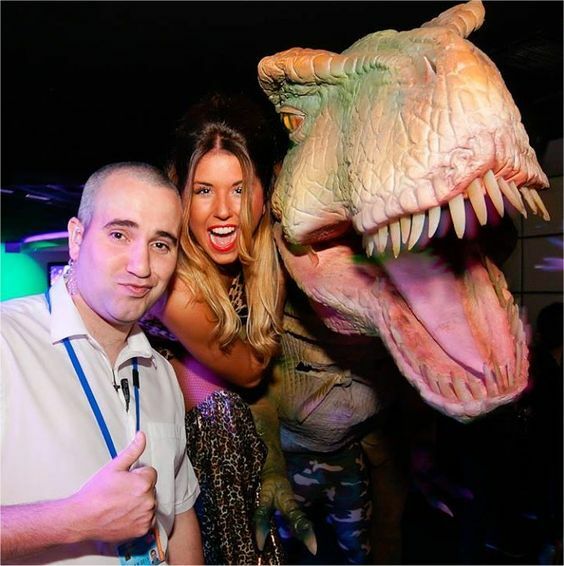 This Walkabout T. Rex can be accompanied by a zoo keeper, safari act or even stilt walking cave girls, and can stomp through corporate events, nightclubs, product launches and much more! 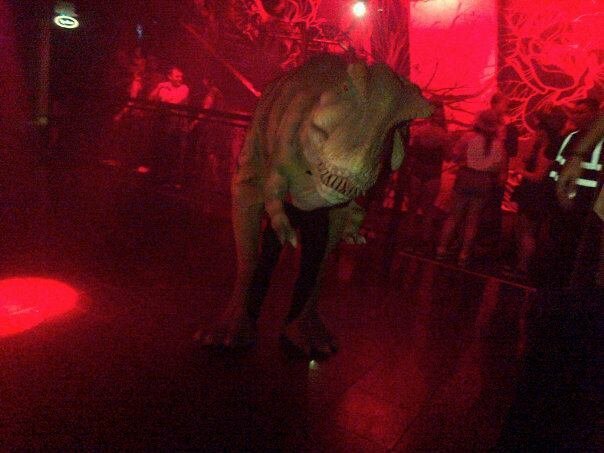 The Walkabout T. Rex performs 3 x 30 minute sets over four hours. 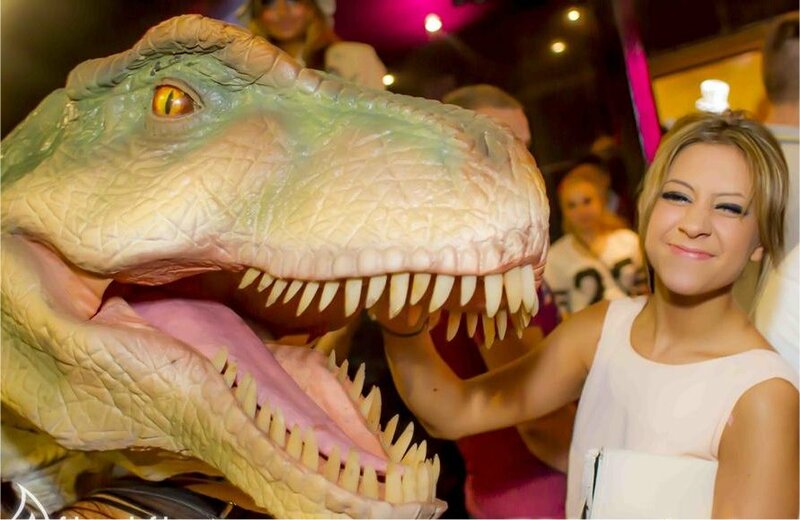 The performer will need security staff for very busy venues such as nightclubs. 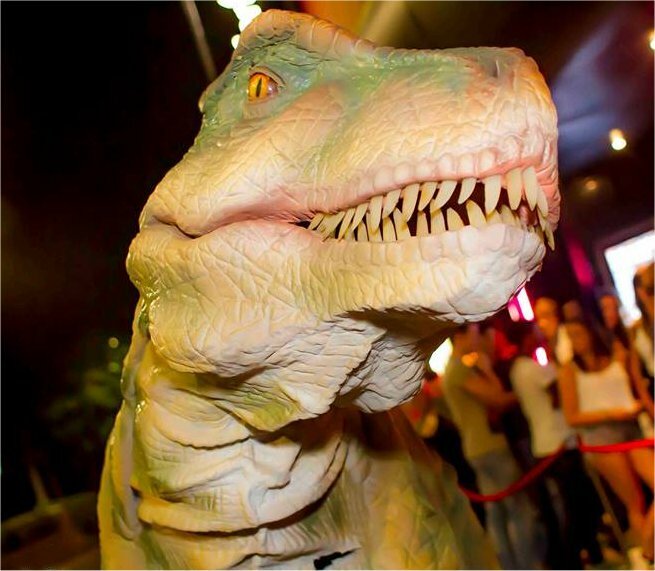 Parking and refreshments will also need to be provided.